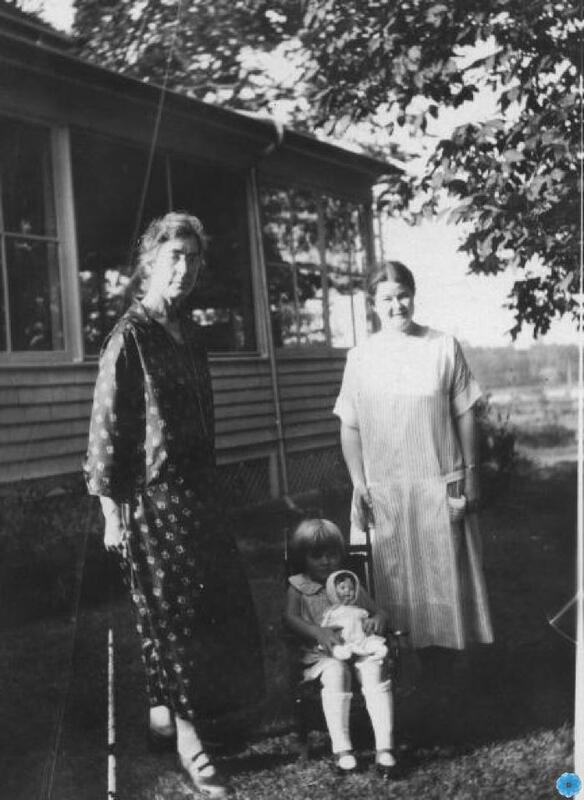 Scope & Content: Dorothy and Elsie are standing, one on each side, of Barbara. Barbara is sitting in a child's chair holding her doll. Barbara looks to be about 3 years of age. This picture is taken outside.